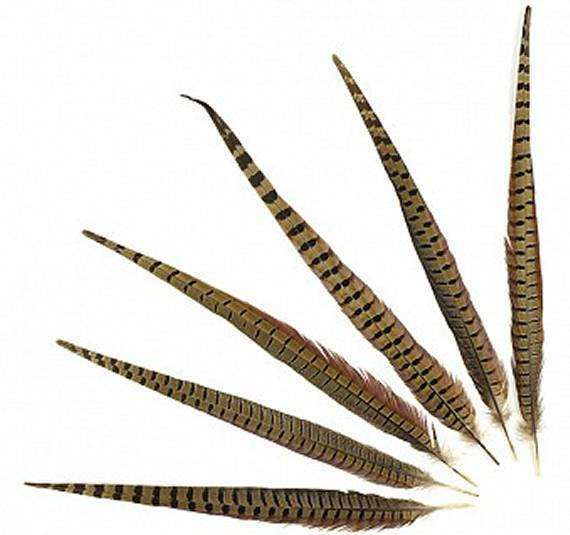 Pheasant tail feathers from the male ring neck pheasant. 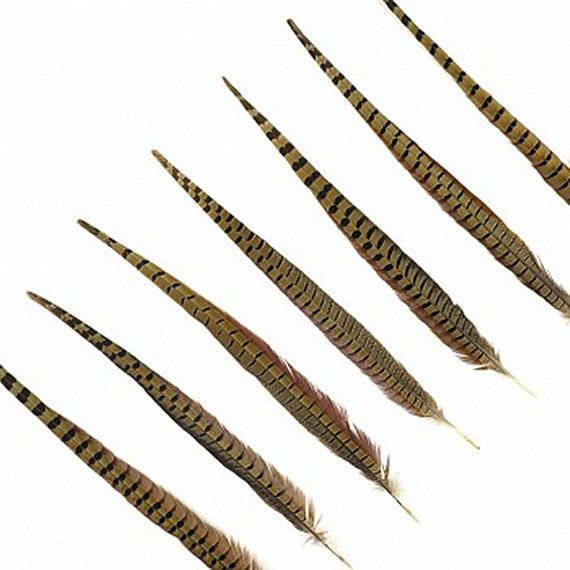 They have been factory sanitized and range in lengths from 16" to 18" long. We ship these in a tube via USPS - Priority Mail - Insured for their safety and so that you will receive your package in 2-3 days once it is posted, plus you can track your package on-line. Basic cost is $8.00. 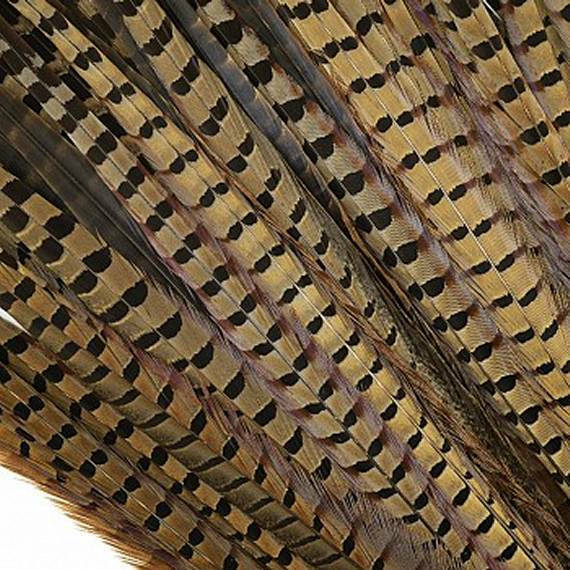 Let us know if you are going to buy a bunch of different feathers and we will send you a code to use after the first purchase so that you don't have to pay more S&H costs. 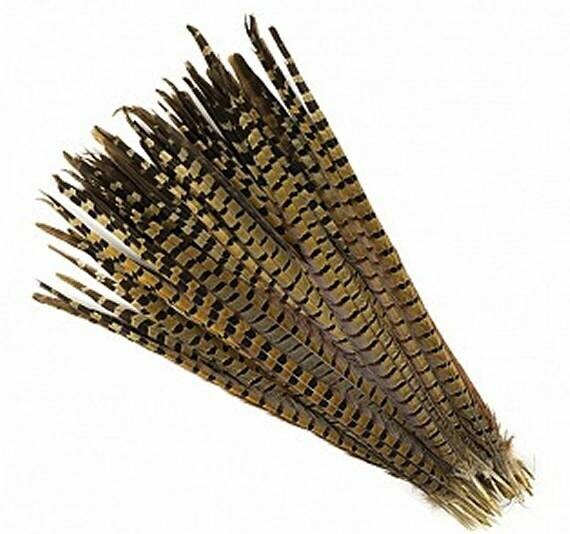 The feathers I received are very nice and I will order from this company again.